Ginger has been used as a folk medicine for over 3000 years to treat indigestion, motion sickness, and to relieve fatigue. Approximately 90% of the world trade in spices is accounted for by ginger, pepper, cloves, cinnamon, cassia, mace, nutmeg, pimento and cardamom – all potential ingredients in holiday baking. The pungent flavor is due to a variety of compounds in the root, which include gingerols, shogaols, essential oils, and sesquiterpene derivatives (ɑ-zingiberene) obtained from the rhizomes (the underground stem of the plant). Ginger oil is used in many foods and beverages, including ginger ale, ginger beer, and various desserts. The oil is also used in other industries as an ingredient in cosmetics, perfumes, and pharmaceuticals. get my hands on a Crabbie's. Not to be confused with ginger ale, ginger beer is a spicy beverage – far more potent than the stuff you’re given on an airplane to fend off motion sickness. 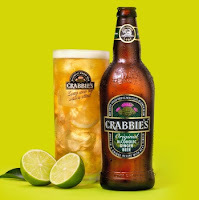 Crabbie's has had great success marketing their alcoholic ginger beer, and often sells out at my local liquor store when I am especially in need. 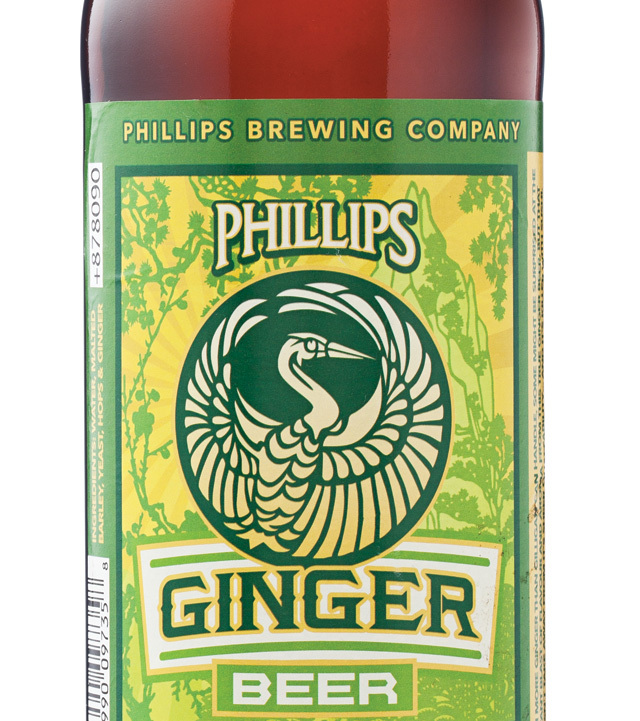 In the past, the Phillips brewery out of Victoria, BC released Gentleman Jim’s Real Ginger Ale in 2009, a sweet seasonal cooler. 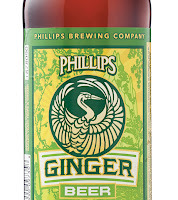 However, their most recent Ginger beer is entirely different. This is in fact a true hopped beer, with the raw ginger flavor adding an extra kick. This brew is especially good with sushi, clearing your palate much like the pickled pink stuff they put next to the wasabi. Am I the only one that eats that stuff? Just as the coffee companies bring out the gingerbread lattes at Christmas time, there are seasonal gingerbread. Yukon Brewing company released a Winter Spice Ale for their ADD series, while Big Rock and Paddock Wood produce similar beers when the season hits. The molasses flavor of a rich stout lends itself especially well to the spices used in Christmas sweets. Why not switch up your contribution to this year’s Christmas potluck? Skip the rum-spiked eggnog and the fruitcake, and bring these cupcakes instead. Your family will thank you. Sincerely this time. What you really really want!" Preheat oven to 350 degrees. Grease or line two 12-cup muffin tins (20 wells). Bring beer to a boil in medium saucepan over medium heat. Remove from heat and stir in baking soda - the mixture will foam. Be really careful that the mixture doesn’t escape from the saucepan and stick to your lovely clean stove. When the foaming subsides, stir in the molasses, brown sugar, and granulated sugar. Stir until dissolved. Let cool and transfer to a large bowl. In a medium bowl, whisk together the flour, ground ginger, baking powder, salt, cinnamon, and black pepper. Whisk in the eggs, oil, and grated ginger to the stout mixture until well combined. Gradually whisk the dry mixture into the stout, stirring vigorously until smooth after each addition. Carefully pour the batter into the prepared wells (20) ¾ full. The batter will be very thin – you WILL miss the pan, I guarantee. Gently tap the pan against the counter to dislodge any large air bubbles. Fill the 3 empty muffin wells with water and place pans in oven. Bake until the top of the cake is just firm to the touch and a toothpick comes out clean from the center – about 22 to 25 minutes. Cool the cupcakes 10 minutes before removing from pan. Set aside until completely cool before frosting. In large bowl, combine butter with 1 tbsp eggnog. Beat in sugar alternately with eggnog and rum until evenly blended. Beat in rum extract and nutmeg. Fill piping bag with icing, pushing it down to the tip of the bag. Pipe icing in a spiral motion from the outside to the middle. OR if you’re lazy (like I usually am), spread the icing on with a knife. It doesn’t look as pretty, but it tastes the same. Trust me. Top with chopped crystallized ginger, Christmas sprinkles, or mini gingerbread cookies. Ginger, the Genus Zingiber. CRC Press 2004. Edited by K . Nirmal Babu and P . N . Ravindran.